Eliminate idle time through scheduling and list building. Even for a mom who has so much to do at home, there are times of the day that she may have some free time. These times may be during kids' nap times, after everyone has gone to bed or early in the morning before anyone wakes up, kids' play time, or if your kids are already schooling, then you also have time between school hours. Identify which idle times have more time for you to work and to do chores. Make a list of things needed to be done both for the home and for work. Identify tasks that you can assign to other family members, giving yourself more time to work. Set up a schedule both for work and for home. Make a schedule wherein work is mostly done during long idle times for the kids, like nap or school time. These times are better to work since you don't have to worry about your kids. Now that you have scheduled your work, you are able to recognize the best time to do it. This time is quite short, 10 minutes at least, so make use of it wisely. 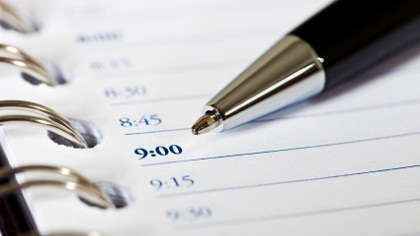 With this time, you can review what you have done the previous day and make a list of tasks to be done for the day. Prioritize the work that has deadlines so you don't end up cramming. Kids' nap times may vary but they can sleep from one to two hours, or even more if your children are exhausted from playing. And if your kids are going to school already, then you have much more time at hand to do your work. Do most of your work at this time since you can have more concentration to do your tasks, especially things that require your undivided attention. When your kids are dreaming away in their rooms, you can do a quick check of the work you have done that day and make a mental note -- or better yet, make a list of what to do the next day. When you can make this a daily routine, working at home will be easier. All you need to do is manage your time to make things go more smoothly, even with unexpected events. Being a work at home mom may be a daunting task, but it is also a rewarding experience. You are earning right in the comfort of your home and you can also look after your kids personally, a challenge that most mothers would love to have. Isolation vs. Chaos: How Do You Work Best?